So pleased to welcome Ellie Kelly as a contributor to The Irish in America. Before we get to her delightful piece in which a subway ride in Toronto triggers memories of riding shot-gun with her dad on another subway, in Boston, Ellie takes a moment to introduce herself. I like what Ellie has to say about her Irish heritage and identity. It is not always about knowing the entire family tree by heart or singing sentimental Irish ballads. For many of us, being Irish American is just a way of life, growing up surrounded by “the lilting laughing Irish voices”. I look forward to learning more about Ellie and her thoughts on being Irish in America! I am a first generation American. 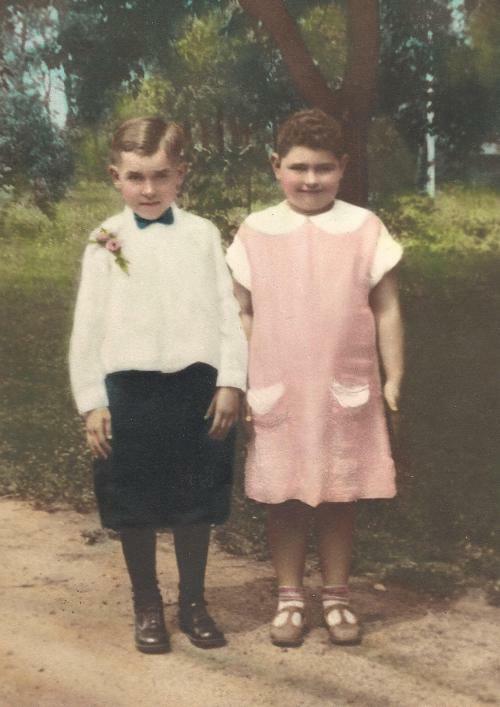 My mother, Joan Teahan, came to this country in November, 1947, with her sister, Maureen. Their first day in New York City included the Macy’s Thanksgiving parade, which is described in Maureen’s blog, along with various other adventures they had with their sisters growing up. I truly enjoyed my Aunt Maureen’s blog over the years. My father’s parents also came from Ireland, so the lilting laughing Irish voices were such a part of my entire childhood. Funny how as I have moved all over the country, I often get homesick for that very sound. Most people know I am Irish by looking at me, as I have the usual white skin, freckles and blond hair. I love my Irish heritage and yet I have not fully embraced it. I see myself as a proud American coming from immigrants seeking a better life. I am honored to have been asked to blog for the Irish in America, and yet I feel almost like a fraud in many ways. My siblings know so much more Irish history than I do, are so much more involved in everything Irish, while I am not. I feel I disappoint them at times when they mention names and dates that are meaningful to the Irish and I stare blankly. 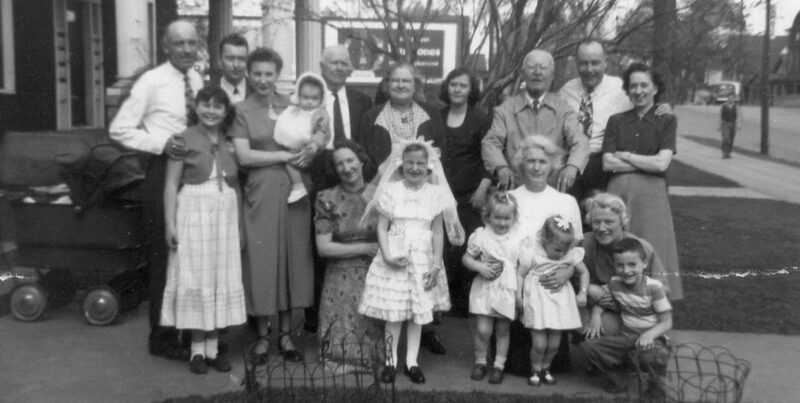 I cannot figure out who is related to who in my extended family as I moved away years ago and lost touch with so many. I am fully assimilated….and so in some ways I guess I maybe do represent some of the Irish in America. I plan to write from the heart about my life and times and hope that the stories reach people and touch a heart here and there. I currently live in Fort Myers, Florida with my wife, Terri, and I am a few years from retirement and I travel from home to various locations weekly for work projects. So here I am working in Toronto 4 days a week and happy that spring is arriving. Instead of a daily drive commute from home, I now use airplanes, taxis and the subway to get to work. The subway is now a regular part of my life – and for so many years I have not been in a city with a subway. As a child being raised in Boston, Massachusetts, the world revolved around using the subway to get from point A to point B. I grew up riding the Boston subway – but not like most people rode it. No, I rode in the next best spot in the car – the driver had the best – but I stood right beside the driver 99% of the time I rode. How did I manage that? My dad was the driver. In fact, the Boston subway was a part of my family, with Poppa joining the Boston street car union in 1916. He was known as “Sandwich Kelly” as every day his wife would meet his street car at the end of their street and hand his lunch through the window to him. My father followed in his footsteps and then the Boston transit system went from a Sunday dinner discussion event at Nana’s house to a daily over dinner discussion at our own dinner table. My brother made it a multi-generational affair by also joining the “T”. Countless times I would ride with my dad, simply for the pleasure of it. He would pick me up at the top of our street (back when the street cars ran instead of the buses) and I would travel one or more loops through town with him. He would always teach me something about the subway on our rides. It wasn’t until now that I realized how much I learned about the subway, and how much I loved those rides. Back then, I learned the signal-light patterns in the tunnels. I remember where the secret doors in the walls were. Heck, I even knew where every cross-track was, and could prepare myself for the accompanying sway, and was ready for the exact moment that the car wheels would begin screeching as it rounded that Boylston Street curve. Outside of the tunnels, back in the car barn, I learned how to reseat the wire on top of the car if it came off the line. How to open the closed car door from the outside. Once, I even drove a street car around the yard one time – that was a thrill! Most of all, I just loved riding those rails with him at my side. Many times as a child I also had the privilege of riding in the same spot with my Dad’s friends when I boarded the car by myself, something a child could safely do in the 60’s in Boston. I had extended “T” family all over the city. Today, I found myself migrating to the front of the Toronto train, standing again at the front, looking out, right beside the driver’s booth. There was a familiarity about looking ahead into the dark, feeling the car grab as it crossed another line, adjusting to the sway, and watching those familiar (even though I was in a foreign city) gray walls with the power lines running along them. It was a warm, welcoming feeling. There are many things in life to be thankful to a parent for, and most people remember the bigger things in life when remembering their own father. I have those memories, too. But this small piece of comfort, when I am so far away from my own home, is what stands out for me today. My dad was not the person in the driver’s seat today – he was standing right beside me enjoying the ride……and I will be in that same spot tomorrow morning, too. Categories: Irish American | Tags: Boston, Irish American, Kelly, memories, MTA, Teahan, Toronto | Permalink. Just in time for the annual Puck Fair in Killorglin, County Kerry, Maureen sends us her memories of the festival from the 1930s and 1940s. Maureen helps us make sense of the beloved Irish summer celebration. Enjoy! When I was a girl in the 1930s and ’40s, Puck Fair was a much-loved harvest festival, and always held on the 10th, 11th and 12th of August in Killorglin, County Kerry. We would go with our grandfather, Dan O’Meara, and enjoy all that the fair had to offer a child. There were savory meat pies, crubeens (boiled pig’s feet) and dillesk (a very salty, purple seaweed). O’Donoghue’s Bakery and Confectionary sold a wide variety of delicious baked goods and the best rolls around; as well as all kinds of sweets. Peggy’s Leg (a thick rock candy stick) was my favorite. The stalls sold money balls which were a round candy with red coloring that came off on your hands and sometimes, if you were lucky, a coin was hidden inside. Glendillion’s was known for their delectable, homemade ice cream. August 10th is known as the Gathering Day, when the horse fair began. We already knew it was fair time because the Irish Travellers’ and Romani had already begun to assemble and mingle among their own people. My mam must have had a reputation as being kind-hearted because the women of both communities would knock on our door as they passed through town. Asking for a pinch of tea and sugar they, in turn, would give her a paper posy or a blessing in return. They arrived in town in their colorful horse-drawn caravans. Some made a living as horse traders and others as skilled tinsmiths. August 11th is Fair Day since it was the time that the cattle fair was held. On this day, the Irish step-dancers performed and traditional music was heard throughout town. I don’t recall exactly when Perks Amusement’s started there, but it was certainly our first time on a mechanical ride. There were many games of chance, including card games, to be found in the stalls. You could try your luck at Find the Lady (Three-Card-Monty) other shell games with three thimbles and a pea, as well as roulette. You could have your fortune told as well. August 12th is Scattering Day, the day the festivities began to wind down. The stand, stages and stalls are closed up and taken down, and fair goers begin leave town. The first time we were allowed to walk to the fair alone I knew I was growing up. It was only my sister, Joan, and me, since Kitty, Dolly and Helen were still too little to walk the four-mile trek from Milltown into Killorglin. Many years later, I was describing Puck Fair to an American friend. I’ll never forget the look on her face! Then, as I thought about it, I understood how strange it all sounded. You catch a wild Billy-goat, having already found a lovely maiden who is crowned Queen Puck. Build a three-tiered wooden tower and have the young girl, resplendent in a white, Celtic gown, crown him “King Puck”. Parade them through town, as Killorglin is declared open to all. Place the puck on top of the stand where he will watch over his subjects for three days. On the third day, the August king is taken down from his royal perch where he has been fed and protected against the elements by an awning. His crown is removed by Queen Puck. Finally, he is released back into the wild. Check out PuckFair.ie for all things related to the festival. Photos courtesy of PuckFair.ie, thank you. Maureen Angela Teahan was born in September 1928, Milltown, County Kerry, Ireland. She was the firstborn of a large family. The household included a maternal grandfather and an older cousin, all living in a small thatched home. Maureen was educated at Presentation School and received her Leaving Certification from Presentation Secondary School, Milltown, 1944. She emigrated from Ireland in 1947 and lived in Lawrence, Mass. Maureen worked at the Wood Worsted Mills for two years until they closed and moved their operations south. After that she was employed as a nanny for a year, also in Lawrence. Then she moved to Boston and worked for the First National Stores (FINAST) in the meat department. During that time she met her future husband and left FINAST when she married Patrick Murray in 1952. Maureen raised three children and was active with volunteer work, the church and community. 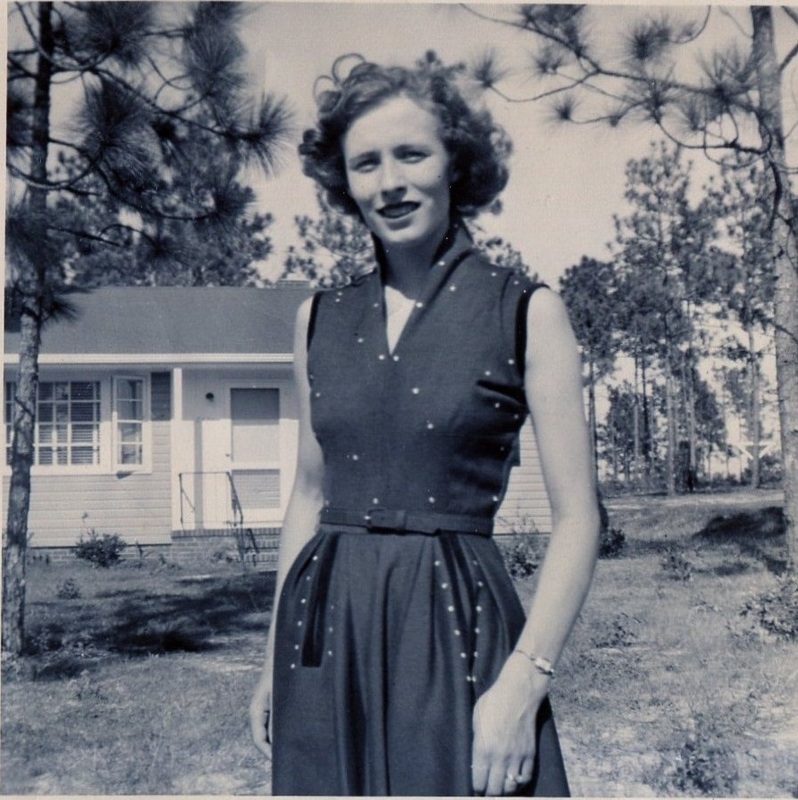 Her hobbies included reading, sewing, cooking and gardening for as long as she was able. Categories: Maureen's Memories | Tags: childhood, County Kerry, goat, horse fair, Ireland, Killorglin, memories, Milltown, Oliver Cromwell, pagan, Peggy's Leg, Puck Fair, travellers | Permalink. Vincent Carmody of Listowel, County Kerry left the following as a comment here on the blog. I thought it deserved to be seen by all followers of The Irish in America, not just the dedicated comment-readers! I have enjoyed reading Seamus Hora’s two poems. I was a young man just over in London from Ireland in 1963. I went over in October, the following 22nd of November a work colleague and myself attended a showing of the film, Tom Jones, at the Odeon in Leicester Square. During the showing some people who had come in and sat nearby mentioned that they had heard rumours of President Kennedy been shot. After the film we were in a pub, Wards of Piccadilly. At this time news of the shooting was both on Television and in everyone’s conversation. Leaving the pub, the news vendors were selling their first edition with the news of the shooting. As we rode down the second escalator to the Piccadilly tube platform, we came across a woman who had fainted, her boyfriend who was with her asked us to help. Together we moved her to a bench on the platform, by this time she had recovered, her boyfriend (Jack Shaefer?) told us that he was a marine working at the US. Embassy and that she had been overcome and upset when she heard of the shooting. We traveled home together and they spoke of Jack’s tour of duty ending and of their return to Pittsburgh. The next I heard of them was nearly a year later when I received a small packet from them which contained 4 Kennedy Dollar coins. After that we corresponded for some time, however when I returned to Ireland a couple of years later we lost touch. All of that was over 50 years ago but the memories remain. Impressive memory, Vincent! I wonder what ever happened to Jack Shaefer and his girl? Maybe someone from Pittsburgh knows???? Some of your readers might be interested in looking up the website of a book which I had published last year, it is a social history of my hometown of Listowel. It has got some great reviews. The book’s name is, Listowel, Snapshots of an Irish Market Town, 1850-1950, the books website address is, www.listoweloriginals.com. This is not the last we will hear from Vincent. In the coming weeks, he will share a couple of excellent articles with The Irish in America. Vincent has written about relatives and Listowel natives, and their experiences in America – Chicago politics, US Presidents, and more. Great stuff! And stay tuned for another great giveaway in March, just in time for St. Patrick’s Day! Categories: JFK | Tags: County Kerry, Jack Shaefer, JFK, Listowel, London, memories, Odeon, Piccadilly, Pittsburgh, USMC, Vincent Carmody, Wards | Permalink. Pride & Place Pictures of Ireland + A Special Offer Just For You! It is my pleasure to introduce you to an exciting new venture – Pride & Place Pictures of Ireland. Now, this is a fantastic idea! Paul Mulligan is an Irish photographer who believes there is something very special about Ireland – its landscapes and seascapes, its villages and people. Paul knows that many people all over the world share this passion for Ireland. Some have emigrated and miss home, while others have memories of an amazing holiday spent in Ireland. There are also those who have never even visited Ireland, but feel an affinity to the place of their ancestor’s birth. It might be very important to you to have a photo of home where you live or work. What better than a photograph of Ireland that is dear to you and reminds you of home. There are many photos of Ireland online that you can choose from ,however they tend to be much of the same. The service we offer is simple and the end product can be amazing for you.We Take the picture you want us to take. You Pick. We Click. It could be the tree you climbed when you were young, maybe you carved your name on it. It could be the church where you, your parents or grandparents got married. Anything or anywhere specific to you, your memories and roots in Ireland. Don’t know where your ancestor’s came from in Ireland? The Irish in America can help you sort that out – take a look at our Services page for information on hiring us to do some genealogical digging. For a special rate of $35 The Irish in America will complete a general search on the origin of your surname in Ireland. Then, you will have something to go on when you contact Pride & Place. If you wish to go a little deeper, one of our other research packages may be of interest. Click here to send us an email! Pride & Place…a great way to remember home, dream of a favorite vacation spot, or honor your ancestors who left Ireland all those years ago. Visit Pride & Place Pictures of Ireland to see more gorgeous photos and for more information. Categories: Photography | Tags: genealogy, graves, home, Ireland, landscape, memories, Paul Mulligan, photographs, Pride&Place, ruins, sea, village | Permalink. Shortly before Thanksgiving last year, Mary contacted me through the blog. She wrote that her mother, Maureen, had a short Christmas story about her childhood in Milltown, County Kerry she wanted to share. I told Mary to send it along, and I would take a look. Click here to read Maureen’s first contribution to the blog, An Orange for Baby Jesus. I immediately fell in love with Maureen’s writing and wanted to learn more about the woman behind the story. Mary filled me, telling me how Maureen and her sister Joan arrived in New York City on November 26, 1947, just in time for the Macy’s Thanksgiving Day Parade. I wrote about Maureen, Joan, and the parade here. I am honored Maureen choses to share her memories through my blog. I think we make a good team – I explore the experiences of the Irish in America, Maureen recalls memories of Ireland with the perspective of an Irish American gained through over sixty-five years and three thousand miles. Categories: Irish American Faves | Tags: childhood, Christmas, emigrant, immigrant, Ireland, Kerry, Macy's, Maureen Teahan Murray, memories, Milltown, parade, Thanksgiving | Permalink.